St Augustine (354-430) is one of the towering figures of church history, widely regarded as the greatest of the early theologians. This study focuses on three major disputes in which he engaged* against the Manichees who denied the essential goodness of creation; against the Donatists with their exclusive views of the church; and against the British scholar Pelagius who in modern times is being rescued from his reputation as a heretic and is now thought to have said some good things. Gerald Bonner admits to having changed his views of Augustine and these disputes over the years; here we have the mature, considered reflection of a lifetime's work and study in this area. 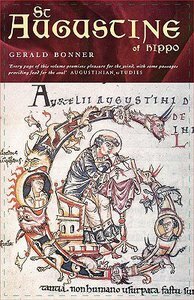 - Publisher Renowned Augustinian scholar Gerald Bonner has revised and updated his seminal study of Augustine's life and work. It focuses on three of the great controversies of Augustine's career: the Manichean, the Donatist, and the Palagian. The issues at stake in these theological disputes remain of vital importance for Christian belief and living today. About "St Augustine of Hippo - Life & Controversies"
Renowned Augustinian scholar Gerald Bonner has revised and updated his seminal study of Augustine's life and work. It focuses on three of the great controversies of Augustine's career: the Manichean, the Donatist, and the Palagian. The issues at stake in these theological disputes remain of vital importance for Christian belief and living today.